suppose you had a 4 day vacation planned somewhere warm over new years, and wanted to design a little solo training camp with a ride every morning. its still base season for you but youre entering base 2 and are already pushing 15ish hours a week and the vacation week comes right after a planned rest week. describe your outline (which days hard or long or easy) and rationale. Assuming you were rested going into it, i'd try to get it 4-6 hours a day; I'm not into very structured training these days so I don't have any interval recipies to list out. So for me it would be a easy-to-medium pace each day I guess, with a few random hard efforts for climbs or sign sprints. That's my plan for my team's 3-4 day training camp - though unfortunately it will not be somewhere warm, just 50 miles west of Seattle..
Find a training partner dedicated to your camp; then ride, easy to moderate, 5-6 hours for 4 days straight. Talking pace. There is definitely structure to this. Regard it as four, 5-6 hour intervals with 18-19 hours rest in between. If you think that's too "easy", try it and report back after the fourth day. Last edited by Brian Ratliff; 12-23-11 at 12:08 PM. 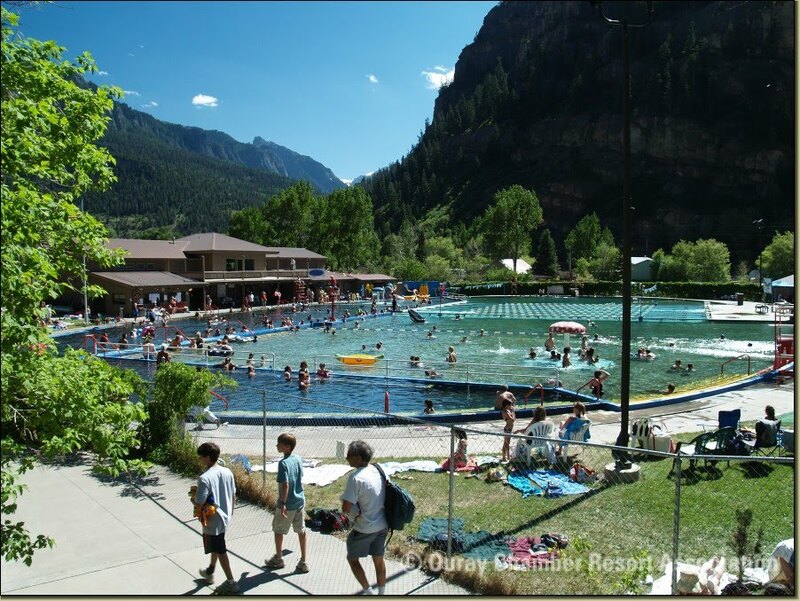 I'm planning a week-long stay in Durango and SouthWest Colorado in late Spring, Early Summer 2012. 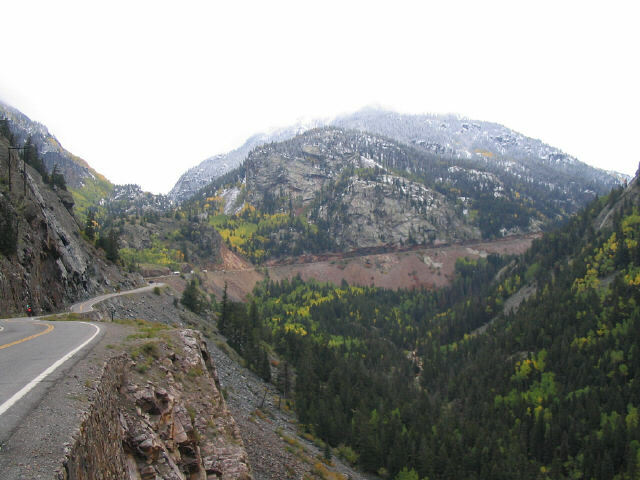 Riding the Durango-Silverton route, the Million-Dollar Highway to Ouray, soaking in the mineral hotsprings, and also Telluride. I've been around that region on motorcycle, and it's pretty spectacular. man i've lived in colorado for a total of like a dozen years now and i've never been down to durango. S'not shameful at all. We never do the touristy things in our own backyard. I've been here in the San Diego for ~15 years and finally went to the San Diego Zoo the year before last, only because my internet date wanted to meet there. I'm still afraid of heights, and there are still plenty of places like that in Colorado where one can scare the hell out of himself. I might also ride my bike on the Royal Gorge Bridge, if I can make it that far East--scary stuff. When the wind blows, the whole bridge sways like mad, there are 1-inch gaps between the railroad ties that make up the walking/driving surface of the bridge, and whenever a minivan full of Texans drives by, you can feel each of those boards flex like overboiled capellini, and it's about a 955-foot fall to the jagged rocks below. i know this is following your tangent OT but i dont care cuz its my thread. i grew up in vegas (which is where my "camp" is gonna be), and used to go to san diego zoo every year in the summer. but yeah colorado is so massive. when i first moved back here in 04 after years away i started buying hiking and biking colorado books and i do a lot of riding and still feel like i've barely scratched the surface of whats out there. sorta the shame of racing, i spend more time on the bike than ever but most of it is back and fort over the same terrain and i do a lot less pack up the car for a weekend and ride remote passes than i used to. S'no shame in living fully and still wanting more. Only shame is that we have such short lives and can only do a fraction of the junk we want to do. I wonder what the weather is like in Benelux right now...? add an extra week to this block. take your recovery week while on vacation. leave the bike home. b) its currently 17 degrees here. vegas is in the mid 50s. How much morning time will you have? 2hrs? 4hrs? i love the idea that a coloradoan would go to vegas and ski, instead of taking advantage of access to 4 days of short glove weather and sunshine. well like i said this is about you, what youd do, not tellign me what to do (its a subtle but important distinction). Last edited by badhat; 12-23-11 at 01:59 PM. Is that maastricht? anyway the weather is complete and utter crap, nothing but rain and about 8 degrees. Also the sun sets about 5 pm so there is nearly no chance for me to ride outside right now. Sorry to hear it jongen. I'm just north of San Diego right now and the weather's lovely, but I have to work, and the roads here are jammed with luxury SUVs piloted hapahazardly by soccer moms talking on cellphones and stressing out about not finishing their Xmas shopping. Yep, that's Maastricht when I went there in '08. Terrific riding you guys have there! And look on the bright side: when it's summer, the sun won't be setting until 11pm! I remember getting off work at 5 in the summer, and riding all the way to Cologne and back (150km) and getting back home just as the sun was setting! Last edited by calamarichris; 12-23-11 at 02:53 PM. your use to "you" and your directive tone misled me then. To clear up any misconceptions; I honestly couldn't care any less what you do. i'm sorta bored. we could fight. Generally speaking it wouldn't be very fair. What with the blue star and all. Never pretty when the junior high kids strut around the elementary school playground with chips on their shoulders.